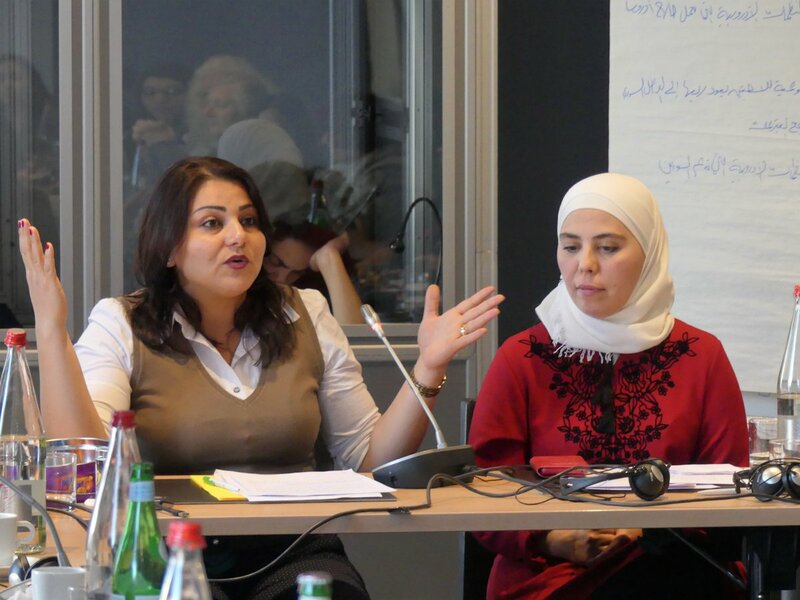 EuroMed Feminist Initiative (EFI) in partnership with Mussawa (WSC) organized a two-day workshop entitled “How to contribute to a democratic transition in Syria? 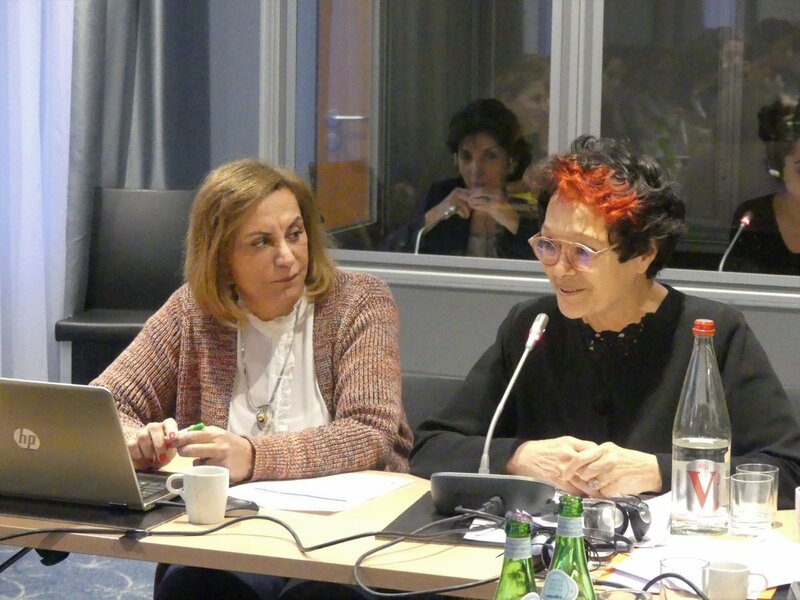 A feminist perspective” on 17-18 November 2018 in Paris. 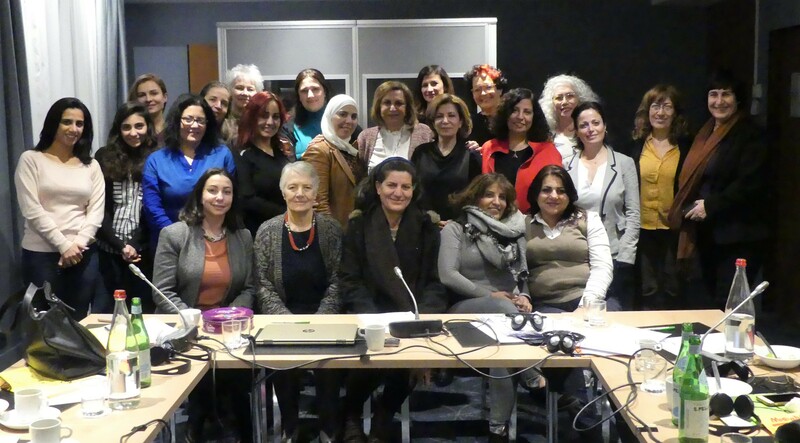 This workshop was held in the framework of the program" Towards Sustainable Peace and Democracy in Syria Through Strengthening Civil Society and Women's Rights", funded by Sweden. The workshop aimed to exchange experiences and lessons learned for Syrian organization based in Europe, enhance their knowledge on women rights and gender mainstreaming, elaborate strategies to ensure an engendered political transition and sustainable peace in Syria as well as enabling activists, in particular young activists, to open the debate on the development of alternative gender sensitive laws. 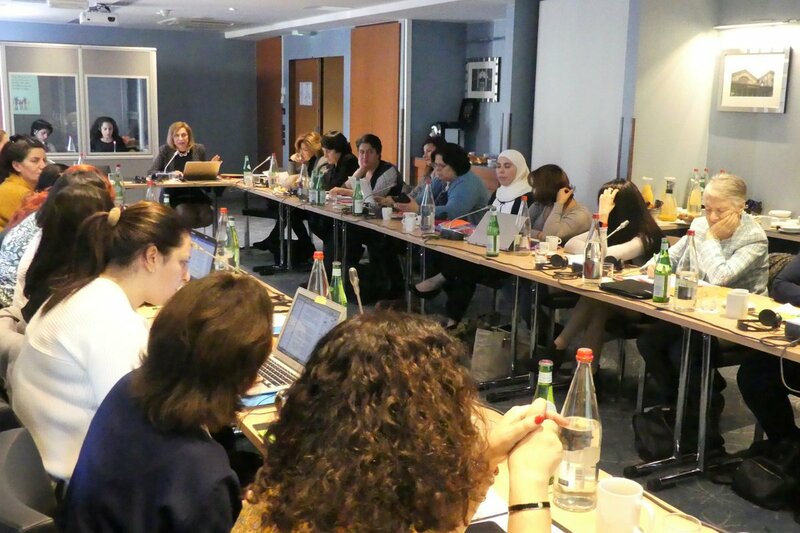 The workshop was attended by representatives of Syrian women rights organizations, Syrian women activists and Syrian-oriented media based in Europe. 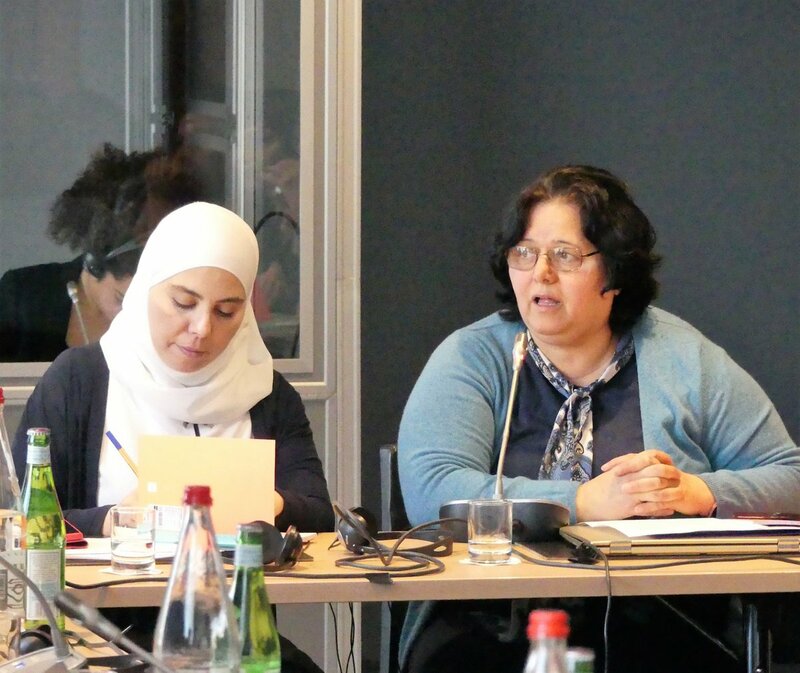 During the first day of the workshop, the participants discussed the present context in Syria and the role and responsibilities of Syrian women’s rights organizations and activists in the transitional and constitutional processes. The ABC for a gendered sensitive constitution handbook* was presented and discussed. Participants highlighted the necessity to build the capacities of feminist movements to enable them to be part of the constitutional drafting process and decision making. Also, they suggested to launch raise awareness campaigns in Syria to combat stereotypes and promote women’s rights. Furthermore, they discussed the tools and steps for having a new gendered constitution and elections in Syria and emphasized the importance of youth participation in the whole process which requires building their capacities and empower them to make a positive change and claim their rights. 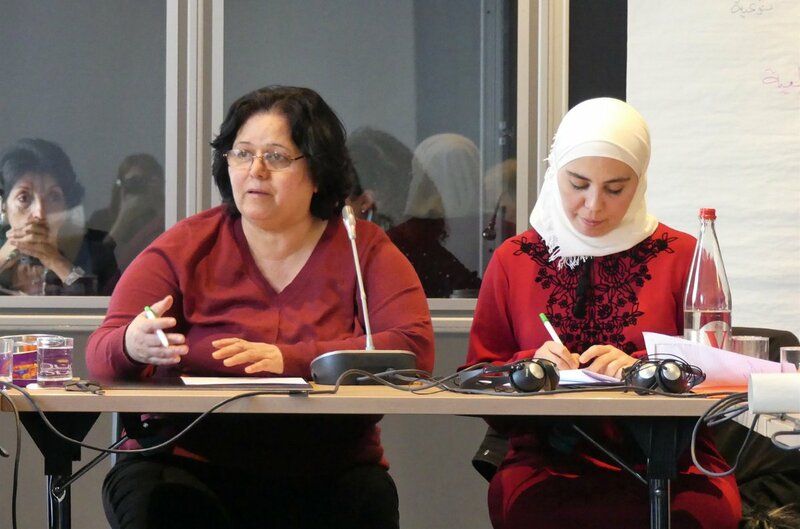 At the end of the first day, participants discussed the mechanisms of gendered transitional justice in Syria and stressed the importance of involving women’s rights organisations in the development and implementation processes. During the second day, participants addressed the challenges faced by the Syrian CSOs in Europe such as the limited funds, the security aspect and focus on terrorism which affect and limit their work as well as their limited capacities in terms of writing project proposals in English. 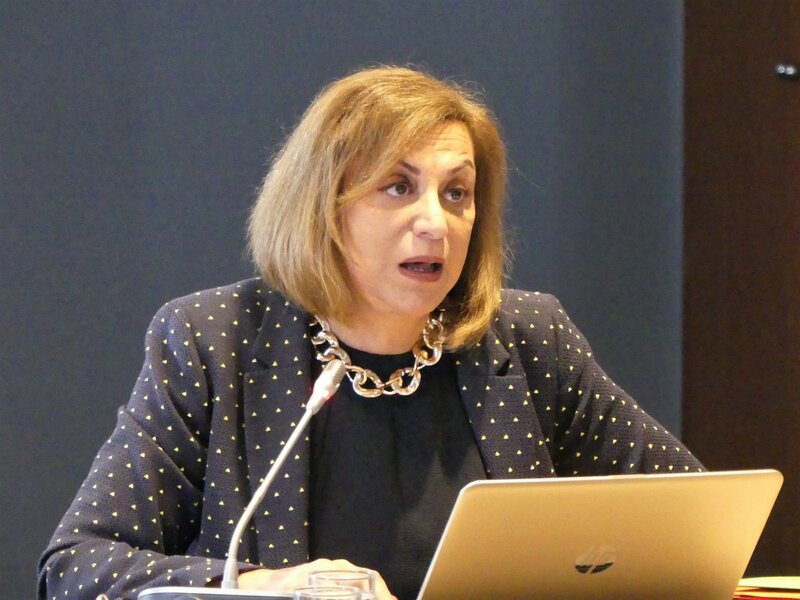 They stressed the need to build the capacities of Syrian CSO’s and activists, voice their demands, strengthen cooperation within each country and integrate Syrian refugees in the European Society. 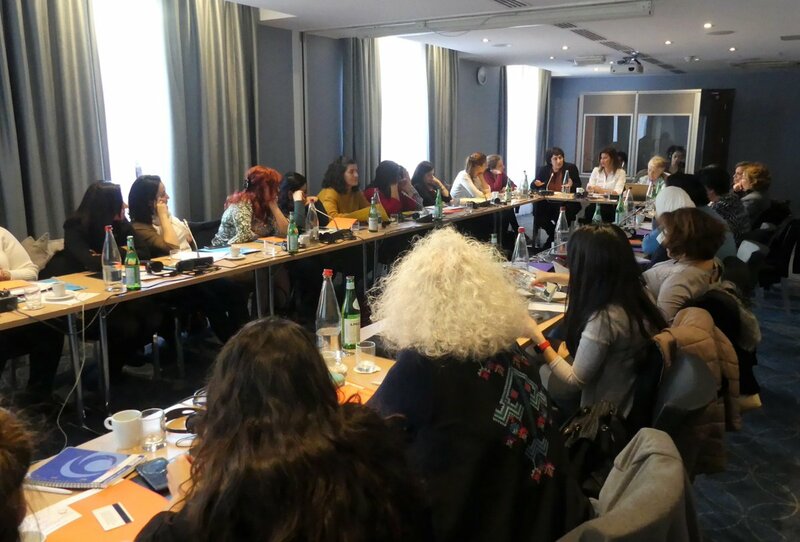 Thereafter, the participants discussed the strategic plan of Syrian women rights organizations in Europe where they suggested to strengthen cooperation between Syrian CSOs and reinforce the cooperation with feminists and women activists inside Syria. They proposed ways and means to integrate the concept of gender equality and women’s rights in all their programs and mainstream these concepts among the target groups (Women, men and children). 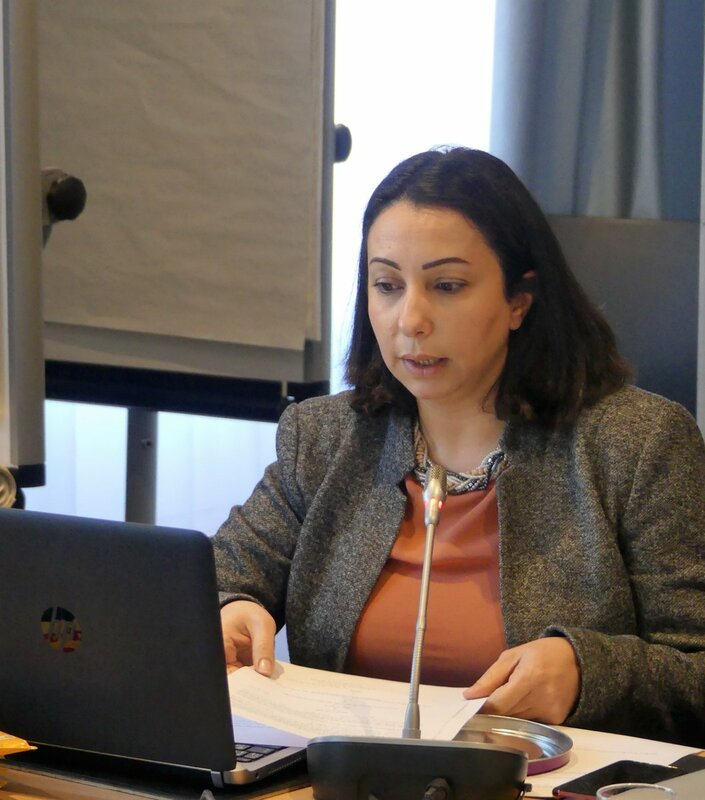 Last but not least, they underlined the importance of encouraging the new Syrian alternative media to address feminism, gender and women's issues which requires to train the capacities and raise awareness of the journalists on gender equality. 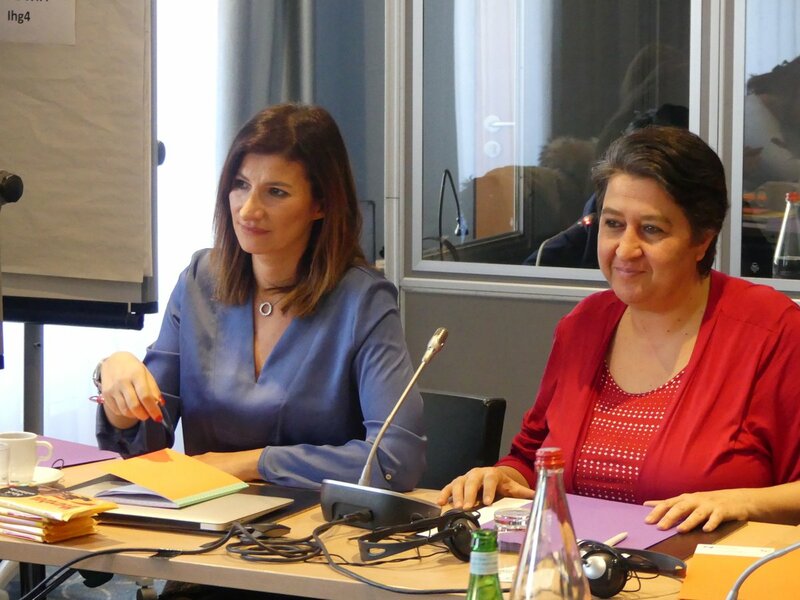 *In 2015, EuroMed Feminist Initiative published the ABC for a Gender Sensitive Constitution. 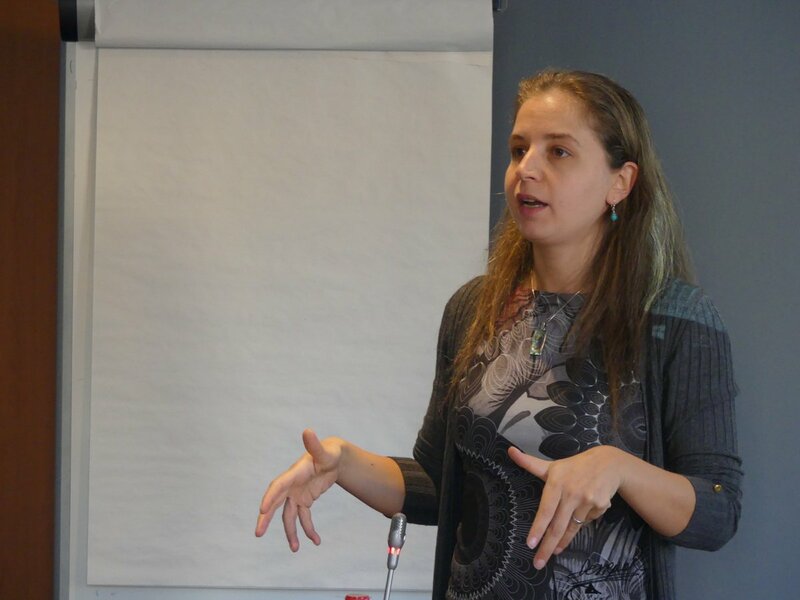 The handbook was the result of a fruitful collaboration with researchers and activists from Syria, Europe and Maghreb, and it provided simple and direct access to main entry points of constitution making from a gender equality perspective. 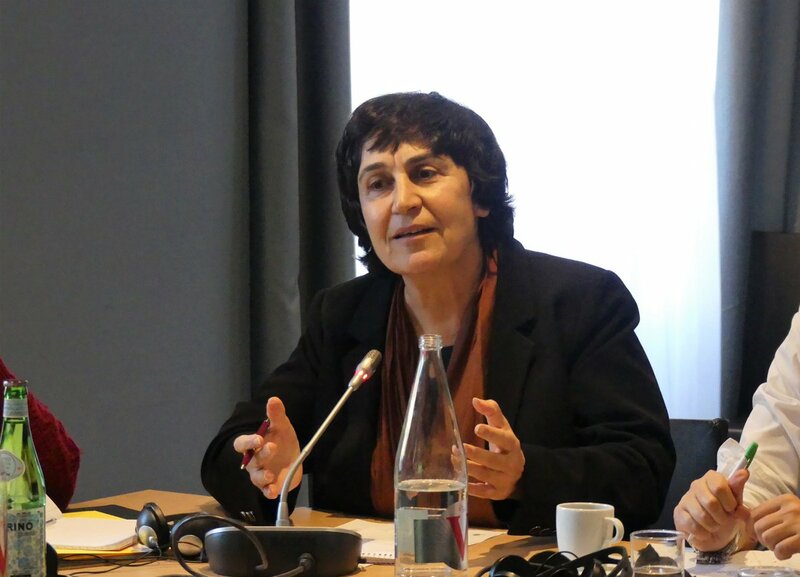 Mussawa/WSC is a Syrian organization working for women’s rights and gender equality in Syria. 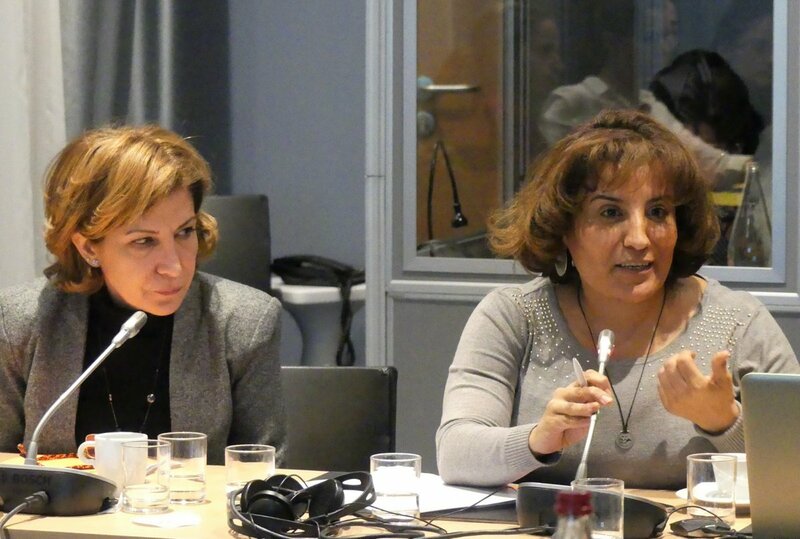 With the support of EuroMed Feminist Initiative, Mussawa recently opened a new center in Troyes, France.